SUPER SPECIAL - Pick up ONLY, Price does NOT include delivery, call for delivery cost. Special purchase, Super bargain shed, DIY kit form shed, (boxed shed). Durabuilt EasySHED, 100% Aussie made, hi-tensile steel gable roof shed with Double doors. Brand new colorbond shed, 6.00m x 2.25m x 2.05m. Special price available in Rivergum Green only. Shed made to order, available 1-2 weeks from order. 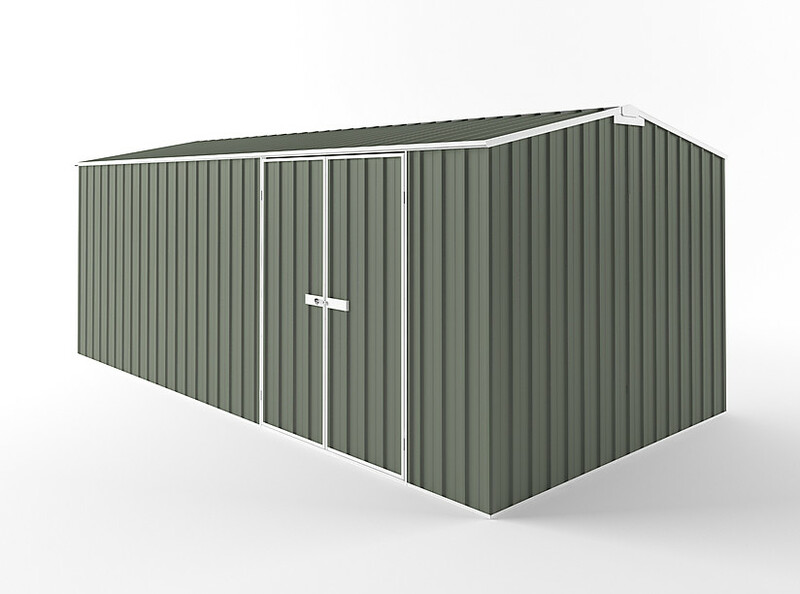 These sheds are Durabuilt EasySHED, a leading Australian made brand, and come with a 20 Year warranty. The sheds are a special purchase, and are being offered at a very reduced price. Normal recommended retail for these sheds is $1855. The sheds are available for pick up from our Melbourne location, (where you can see and feel the sheds on display).